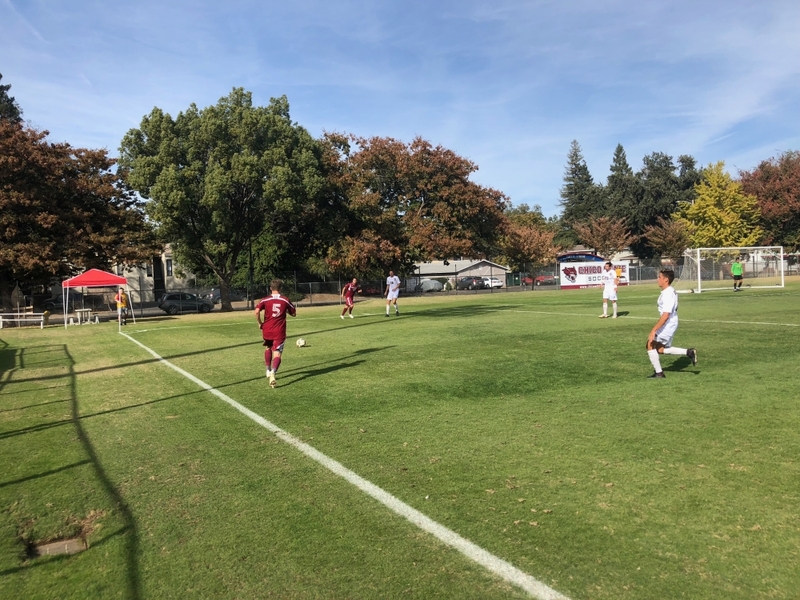 Despite some questionable officiating, the Chico men’s soccer team was able to come away, not only with a 2-0 victory, but also with home-field advantage for the first round of the playoffs. Although they didn’t know it at the time, this game ended up being the first of two straight matchups with the UCSD Tritons; with the second being in round one of the California Collegiate Athletic Association playoffs. The game started in UCSD’s advantage, as they controlled the ball for most of the first ten minutes or so. However, as they usually do, Chico men’s soccer struck back, scoring on a great assist from Jeremiah Egujie to Justin Bethke. This marks Bethke’s first goal of the season and Egujie’s first assist, and it was a pivotal moment in the game. “I was in the right position, and my forward just looked up, saw me there and passed it right to me,” Bethke said. 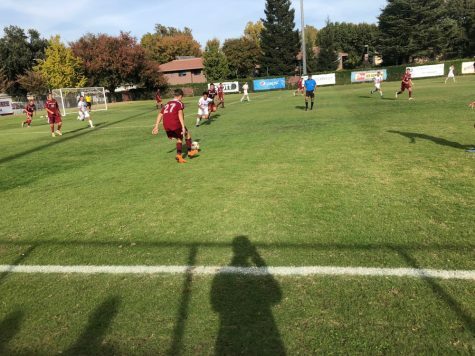 After this goal, Chico gained momentum, and scored just seven minutes later, on a goal from Garrett Hogbin. From this point on, it was all defense, as Damion Lewis made a couple of impossible saves from inside the box. This was his final regular season game, and he went out on top, making plays on nearly every defensive possession. This was also the last regular season game for 8 other players, who were all celebrated before the game started. “It’s all about their composure,” Bethke said about his older teammates. “They do well under pressure, and I think that’s something I can learn from them and pass down to people younger than me. Despite the win, the team did seem frustrated with the officiating. And to their point, there were six yellow cards given out during this game. Lewis was especially frustrated with the calls, and he made his voice heard. Chico was able to pull through and win despite there being some controversial calls. Their next game will be a rematch, as they will take on UCSD in the first round of the CCAA playoffs on Tuesday, Oct. 30.